Vanguardia Arizona reported that while the number of Latino votes cast in Arizona and across the nation is growing significantly, major barriers to boosting Latino turnout persist. 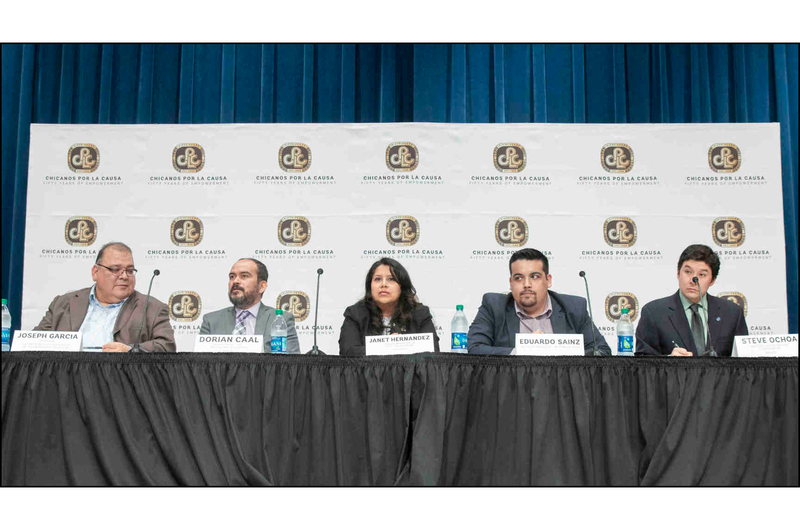 An expert discussion panel held at Phoenix College as part of an ongoing series of civic engagement activities, hosted by Chicanos Por La Causa, said when it comes to the Latino vote, the news is mixed. Joseph Garcia, director of the Latino Public Policy Center at Arizona State University’s Morrison Institute for Public Policy, said shortly after the November election, Morrison Institute released a revised version of its report which found that despite record turnout among all “registered” voters in the midterm election (about 65 percent), among “all Arizonans who are age 18 or over and eligible to vote (both those registered and unregistered to vote),” fewer than half (48 percent) cast a ballot. Put another way, about half of Arizonans eligible to vote had no say in the outcome of the election. According to Garcia, so called low-propensity voters, whether Latino or not, tend to be young, poor and uneducated. While gains are being made, Latinos remain disproportionately represented in each of those categories.